See some ships at the Festival of Sail 2013 all weekend long. Hosted by the Maritime Museum of San Diego, this festival is the largest tall ship festival on the west coast…go see why! Exhibits. Closing this weekend: Approximately Infinite Universe at MCASD: La Jolla, Wonder Women: On Paper and Off at Women’s Museum of California, The Magic of Windansea at California Surf Museum, Deadly Waters at Living Coast Discovery Center and Juried Exhibition at La Jolla Athenaeum. Have fun at the Del Mar Racetrack as they host their Reggae Festival on Saturday. It’s the last weekend of races so go before its too late! Be dazzled at the US Sand Sculpting Challenge and 3D Art Exposition all weekend long. Happening at the B Street Cruise Ship Terminal Pier, the event features a contest between some amazing sandcastle artists, performers, music, kids activities and an art show. Visit the beach. Be a San Diegan this weekend and tan, mingle and play at the beach. We are pretty lucky and this is the last of Summer. Cheer on some puppies at the Cabrillo Dog Show all weekend. Over 1,000 dogs are expected at Bates Nut Farm on Saturday and Sunday. Get cultured at the Little Italy Summer Film Festival. It’s been going on all Summer and this is the last Saturday night at Amici Park. Spend more time in Little Italy this weekend with their annual Labor Day Westcoast Stickball Tournament. Go to a Balboa Park event: Lawn Program: House of Ukraine hosting, 14th Annual Plumeria Festival, Spreckels Organ Pavilion concert, Spanish Village Art Center’s Dog Afternoon and Nighttime Open House. They’re all free and fun. Celebrate Labor Day! 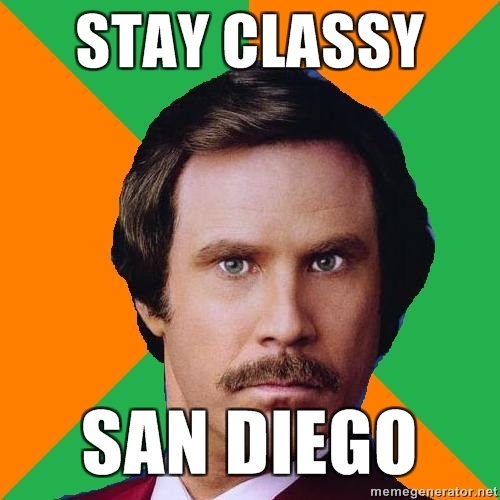 Check out our blog post for more ways to enjoy this weekend in SD. Cheer on the horses at Del Mar Racetrack’s Pacific Classic on Sunday. The best horses in the country will race for the one million dollar prize at the 23rd year of this great race. Exhibits. Opening this weekend: Struck By Modernism at Mingei International Museum, Concept of Color at Mission Trails Regional Park and BEERology at San Diego Museum of Man. Closing this weekend: Intersections: Charles Arnoldi at Oceanside Museum of Art, Earthly Elements at Fallbrook Art Center, Second Time Around: Fashion Recycled at Visions Art Museum, Supporting Roles at Visions Art Museum, Fashion Tops and Bottoms at Visions Art Museum, ‘Dare to Reuse’ Student Art Exhibition at The New Children’s Museum (Monday) and Eclectic Eyes at Spanish Village Art Center (Monday). Fall in love with some art at the ArtWalk San Diego all weekend long. This year, the grand show will be at NTC Liberty Station for more room (hello, have you been to an event at Liberty Station? ), more entertainment (a dozen-plus musicians, interactive kid areas and food!) and more art (over 100 artists!). See Shirley Church’s awesome Gaslamp piece above? She’ll be here. Stomp some grapes at Orfila Vineyards and Winery on Saturday. The 20th Annual Grape Stomp includes a grape stomp, music, food and tractor rides. Play in the snow with some pooches at Petco’s Summer Snow Day on Saturday. The Chula Vista Unleased by Petco is hosting a day of treats, demos, giveaways, and snow. Bring your puppies for a good old time! Enjoy more art at Sunday’s 9th Annual LeucadiARTWalk in Leucadia. Go to the great block party of open galleries, artists, musicians and fun. Sip on some goodness at the San Diego Spirits Festival all weekend. Demos, tastings, an art show, a burlesque show and more await you at the 5th year of this event! Love life at Suzie’s Farm on Saturday for the Pedal, Pick and Grin event. What you’ll expect at this event: local organic fruit and veggies that you can pick yourself, a bike parade, music, food trucks and farm tours. Love it! Get cultured at the International Cottages and their Lawn Program on Sunday. The House of Palestine hosts with food, music, dance and costume. Or focus on the stomach at one of these two events this weekend: Mira Mesa Festival of Beers or Valley Center Food Truck Festival. Grab a brewski at Stone Brewing Company’s 17th Anniversary Celebration this weekend. Tonight and tomorrow, Stone Brewery celebrates its milestone with over 40 guest breweries, hundreds of beers and plenty of fun! Exhibits. Opening this weekend: Eclectic Eyes at Spanish Village Art Center (opened Wednesday), West Coast Drawing: Drawing Alive at Bonita Museum and Cultural Center (opened Wednesday) and Reencuentro: Raices del Norte at Centro Cultural de la Raza. Closing next week: A Moment in Time at Mission Trails Regional Park (closes next Friday). Listen to great music at the San Diego Indie Fest at Liberty Station all weekend. This massive event features tons of live music, films, artists and more. Plan your fabulous wedding at the Gay and Lesbian Wedding Expo on Sunday. Go to Mission Valley for great wedding ideas, a chance to win great prizes and opportunities to mingle with wedding vendors. Slap your knee to jolly good bluegrass music at the 11th Annual Bluegrass Festival all weekend. Live bluegrass bands, music sessions and impromptu jams await you at the forty-acre Antique and Gas Steam Engine Museum location. Get literary at the Twainfest 2013 in Old Town on Saturday. Hear the readings of great literary stars, participate in games and experience the 19th century at this festival. Treat yourself to tasty BBQ at the Del Mar Racetrack’s Grill Fest. Happening on Saturday, the event will feature over 25 grilling pros and a day of horse races. 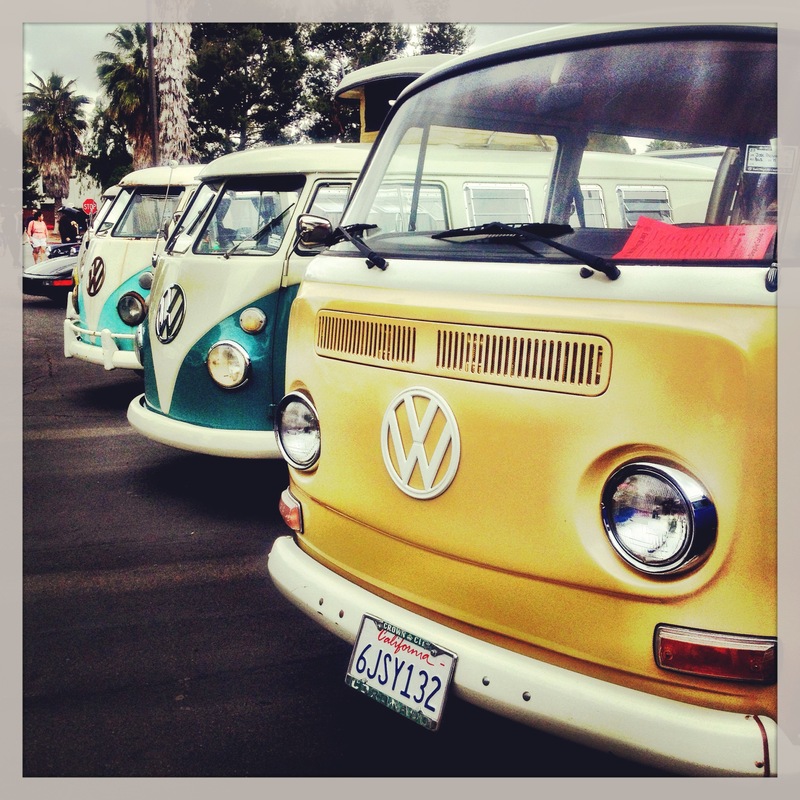 Groove out at the Mossy Volkswagen Show on Sunday. Walrus 105.7 will be on site giving away food and prizes. If you’re a VW person, you got to go! Learn about the San Diego Bay with Bay Day at the Birch Aquarium on Saturday. As part of its Sea Days program, the Aquarium will have activities, vendors and ample opportunity to learn about San Diego’s great resource. Join in the fun at the International Cottages with the Lawn Program on Sunday. It’s the House of Hungary’s turn to host with food, music and dance. Let the day go to the dogs at the 8th Annual Cardiff Dog Days of Summer. Pet products, pet adoptions and plenty of pooches line the streets of Cardiff on Saturday. Exhibits. 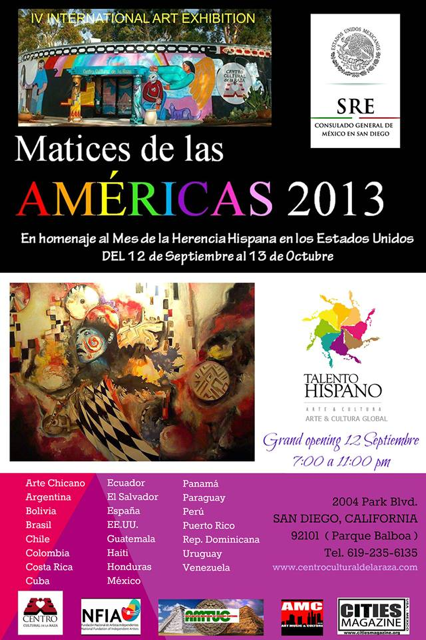 Opening this weekend: Crossing Cultures at San Diego History Center (Monday). Closing this weekend: Yumi at Spanish Village Art Center (Monday). Notable art events: Green Art Parade at Art Produce on Saturday, Target Free Second Sunday at The New Children’s Museum on Sunday and Summer Break at The San Diego Museum of Art through Saturday. Gaze at the stars during this weekend’s Star Fest in Julian. Happening all weekend long, this event is awesome with lectures, activities and tons of star gazing opportunities. Have fun at the Hillcrest CityFest on Sunday. This annual street fair includes music, games, crafts, food, drinks and lots of fun. Participate in CicloSDias on Sunday. The only requirement in this fun day of festivities is being sans car. The route takes participants thru the streets of Logan Heights to City Heights. Become an expert on beer at Beer-Con 2013 all weekend. Normally we don’t like to include activities that cost a lot on this blog (we are pretty poor/cheap after all) but this event is too cool not to mention. A beer conference with lectures and some of the biggest names in craft beer will be in attendance! Grab a lemon at the Chula Vista Lemon Festival on Sunday. The 17th annual festival will be filled with lemon contests (biggest lemon, lemonade drinking contest, lemon pie eating contest), music, food and over 200 vendors. Appreciate Philippine culture at the Philippine Cultural Arts Festival all weekend in Balboa Park. Visitors will enjoy fun performances, music, costumes and delicious food. It’s the festival’s 27th year! Watch some great tennis as the USTA’s Girls 16s and 18s National Championships finish up this weekend. See which teenage superstar will win in each category. Enjoy the festivities at the International Cottages and their Lawn Program on Sunday. This weekend, the House of Panama hosts with food, music and costume in Balboa Park. Celebrate Mom! Get some great ideas on things to do from our Mother’s Day events post. One idea from the list: sleepover at the San Diego Zoo. Exhibits! Opening this weekend: 11th Annual SDSU Art Council Recipients at La Jolla Athenaeum, Hamilton Press Lithograths at La Jolla Athenaeum and Lilia Gracia Castro at Centro Cultural de la Raza. Closing this weekend: Bill Traylor at Mingei International Museum. Eat some chocolate at the San Diego Botanic Garden. On Saturday, the Garden’s hosting the Chocolate Festival 2013 with tastings, demos, activities and music. Enjoy some outdoor time with the start of San Diego River Week. To feel really great this weekend, spend some time volunteering on the many projects being organized! Get cultured at the Asian Cultural Festival San Diego at Liberty Station on Saturday. Food, drinks, activities, performances…what more could you ask for? Learn about birds at the Bird Festival at Cabrillo National Monument. See some amazing chickadees and learn more about migratory patterns through SD on Saturday. Meet an astronaut at Space Day 2013. The San Diego Air and Space Museum is hosting their 10th annual day with astronauts, rockets, telescopes and meteorites. Feast away at the Gator by the Bay Festival all weekend. San Diego’s Zydeco Blues and Crawfish Festival brings Louisiana to SD with crawfish, oysters and other Southern delicacies. Attend the largest glass show in Southern California. The Art Glass Guild Spring Show happens in Balboa Park and includes demos, music and lots of opportunities to buy beautiful art pieces. Be in Anchorman 2 on Saturday. Not really, but go to the casting call and maybe you will be! Learn more here.